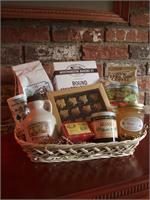 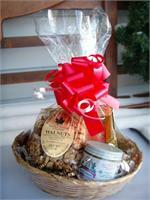 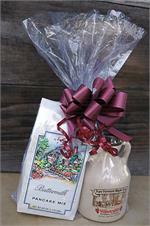 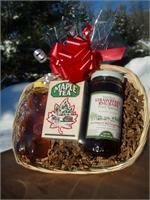 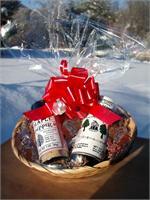 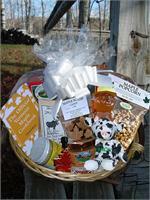 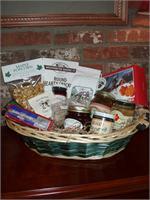 Gift basket with maple sugar coated walnuts, handmade maple fudge, maple cream spread. 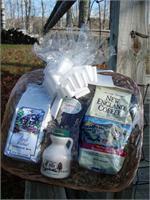 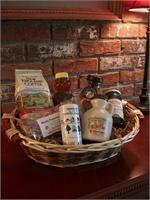 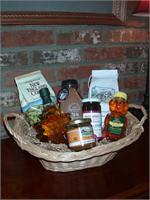 A variety of Vermont Products in a large gift basket. 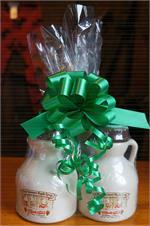 Click MORE for details of contents.